Lean Six Sigma - Jaatinen B.V.
"You cannot control the wind but you can adjust your course"
Would you like to improve your customer satisfaction, reduce your costs and improve employee satisfaction, all at the same time? Is the speed and quality of developing new products and services in your organization below customer expectations? Thousands of companies all over the world have successfully applied The Lean Six Sigma philosophy and Design for Six Sigma to help solve similar challenges. Our organization, Jaatinen B.V., supports and guides organizations in their Lean Six Sigma journey. Our services are targeted to customers who are considering to start with the Lean Six Sigma philosophy as well as to customers who are already using Lean Six Sigma but want to take the next step. We deliver standard open trainings, combined with off-line support, as well as customized solutions that quickly deliver the right tools and solutions that will best meet the needs of our customers. We offer our services in English, Finnish and Dutch. For more information, please contact us. Jaatinen B.V. is a Dutch Lean Six Sigma training and consulting company. We help organizations to obtain stable improvements with the Lean Six Sigma, Lean Leadership and change management. We train and coach employees at all organizational levels and, when needed, lead and assist organizations in their Lean Six Sigma transformation. Our strength lies in the years of hands on experience, varying from full scale world-wide implementations of the Lean Six Sigma and Design for Six Sigma to the small Lean projects on the shop floor in local businesses. Based on these experiences we can tailor our approach to meet maximum measurable result and acceptance to our customers. Our goal is to enable our customers to become self-supporting in the application of the Lean Six Sigma as quickly as possible. Marja Jaatinen, the founder and director of Jaatinen B.V., has more than 20 years' international business experience, the last 15 years as certified Lean Six Sigma Master Black Belt. She was among the first Lean Six Sigma experts in Europe. 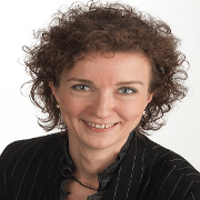 Since 2005 Marja has worked as a consultant in a variety of (inter)national companies in industry, service and public sector, helping organizations to implement the Lean Six Sigma from boardroom to shop floor. Marja mainly trains and coaches herself. Whenever necessary she will also use her selected network of highly specialized Lean Six Sigma consultants for assignments with broader (international) scope. Lean Six Sigma is a business process improvement methodology that can greatly improve the performance of an organization, by providing a structured approach to resolving problems. Lean Six Sigma can help you to bring about rapid improvements whether in a manufacturing or service-based context. Lean Six Sigma provides solutions for breakthrough performance improvements, making 50-90 % improvements feasible. Lean Six Sigma combines two approaches: 1. Lean: a collection of techniques for reducing waste in a process by eliminating non-value added activities; 2. Six Sigma: a collection of techniques for improving the quality of products and services. One does not reach breakthrough improvements with just "hard" techniques and tools of the Lean Six Sigma, but also needs to manage resistance to change, a common thread with nearly all change initiatives. The effect of quality improvement is obtained only if the people side of the change is well managed. We spend a significant part of our training and coaching on change management skills. When an organization wants to obtain a sustainable change, Leadership also plays a crucial role, from executive-level support to coaching on the shop-floor. In our approach we combine proven elements of the Toyota Production System for operational improvement along with GE Change Acceleration Process methods. Our approach ensures the organization will capture the improvement results while simultaneously developing the leadership skills needed for reaching a sustainable change. For more information about our Lean Six Sigma trainings and services, please contact us. Design for Six Sigma (DFSS) is a business-process management approach to design or re-designing new products or services with a measurably high performance from day one. While Lean Six Sigma requires a process to be in place, DFSS has the objective of determining the needs of customers and the business, and driving those needs into the design solution. The objective of DFSS is to design it on time, right the first time. For more information about our Design for Six Sigma trainings and services, please contact us. Several million euros cost reduction. Not all mandatory fields are filled! Madam Sir Er is geen aanhef ingevuld. Er is een ongeldig telefoonnummer ingevoerd. but you can adjust your course."